Ajith, the handsome actor is getting ready to start his next film with his Billa director Vishnuvardhan. The interesting addition to this multi-starrer movie is Mahesh Manjrekar. 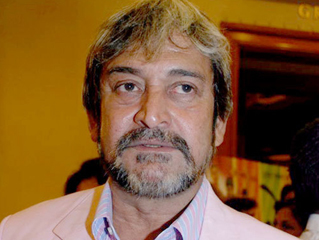 Bollywood star actor Mahesh Manjrekar will be seen playing main villain for Ajith for the first time in Tamil film industry. This untitled movie casts Nayantara as Ajith’s lead lady, while Arya and Taapsee will be seen playing pivotal roles. Vishnuvardhan’s directorial is also a come back film for Nayantara in Kollywood, after she breaks up with beau Prabhu Deva. Yuvan Shankar Raja will be composing the music tunes as well as background for this yet-to-be-titled venture that will start rolling from 2nd of this June in Mumbai. Cinematography by P.S. Vinodh, editing will be by A. Sreekar Prasad, art by Sunil Babu, dialogues by writer duo Suba and Anu Vishnuvardhan will be designing the costumes among the technical crew. Meanwhile Ajith is gearing up to screen Chakri Toleti directed Billa 2 on 8/15 of this June.